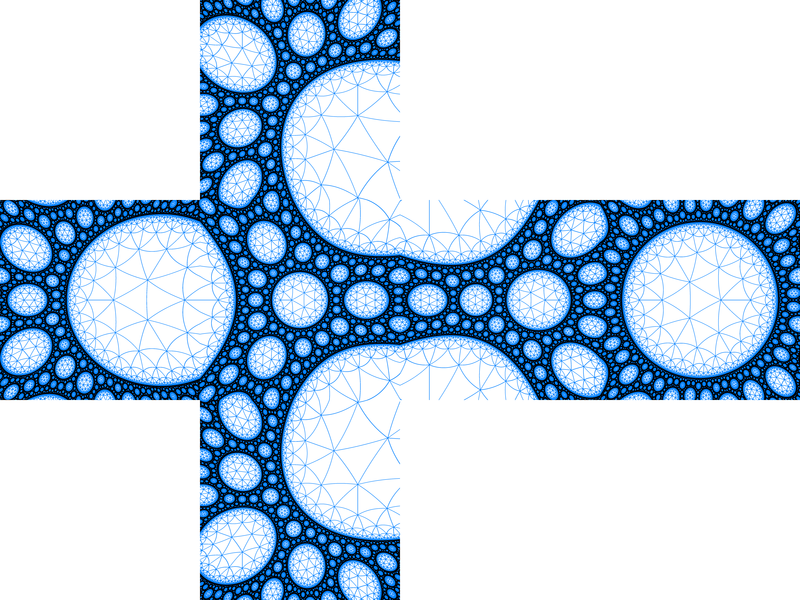 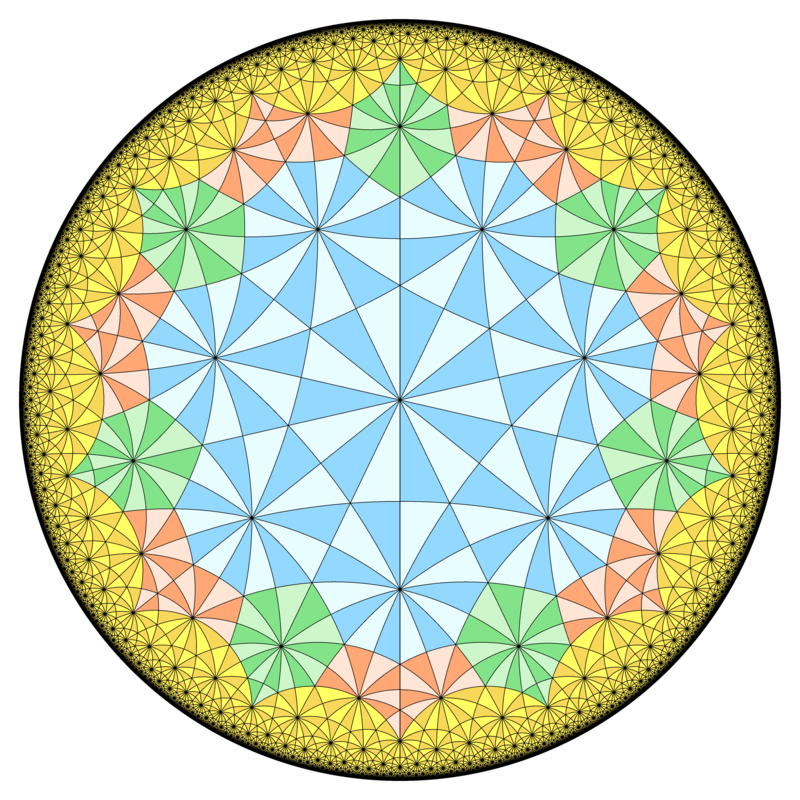 Klein's quartic. 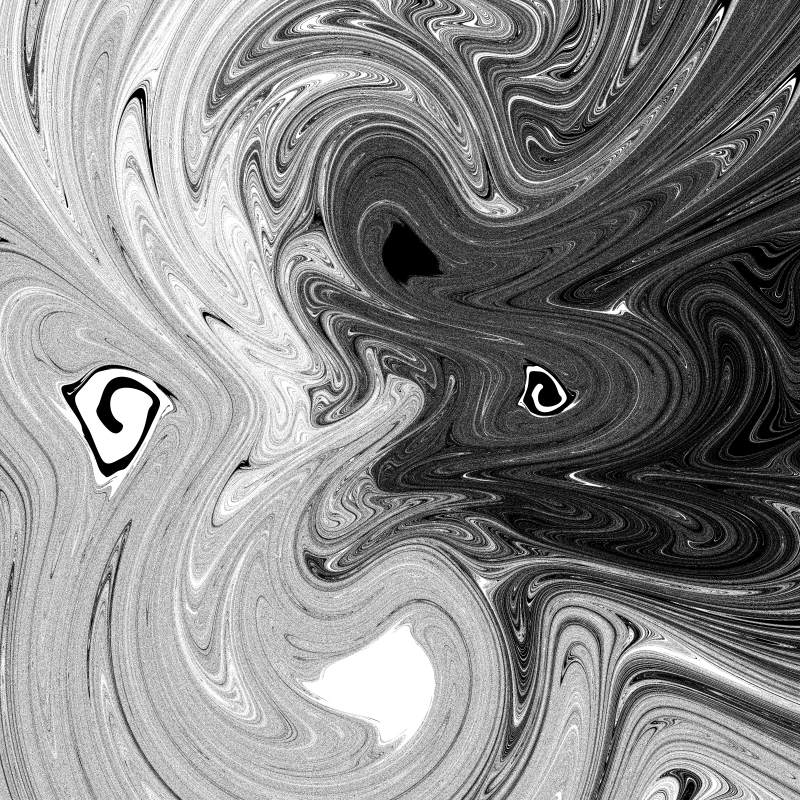 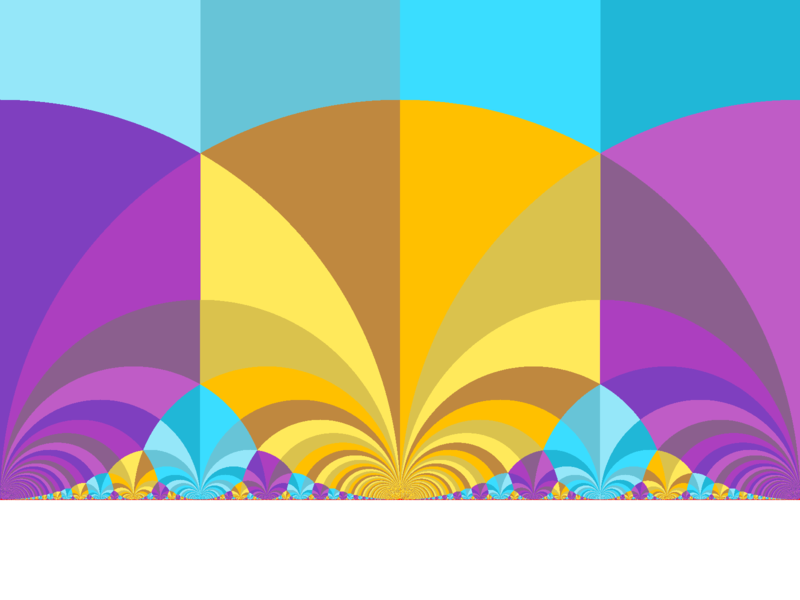 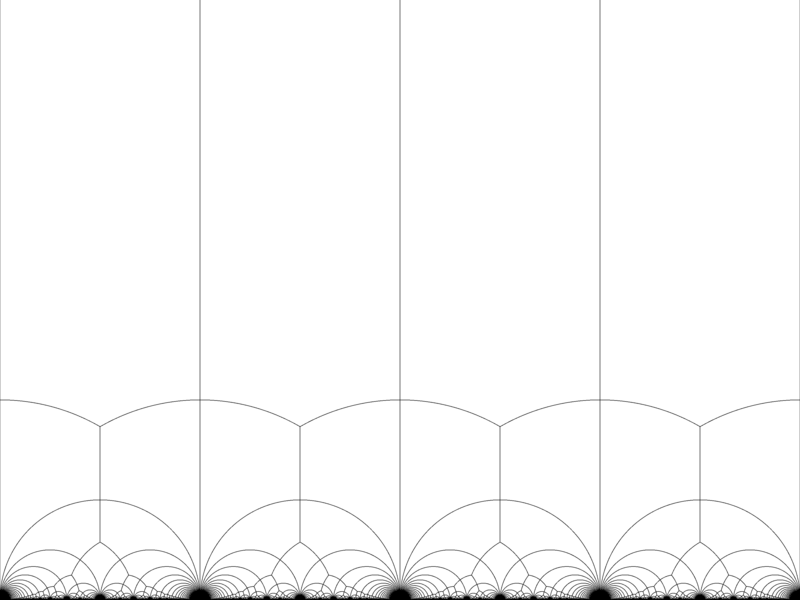 A very symmetric complex-curve (a.k.a. 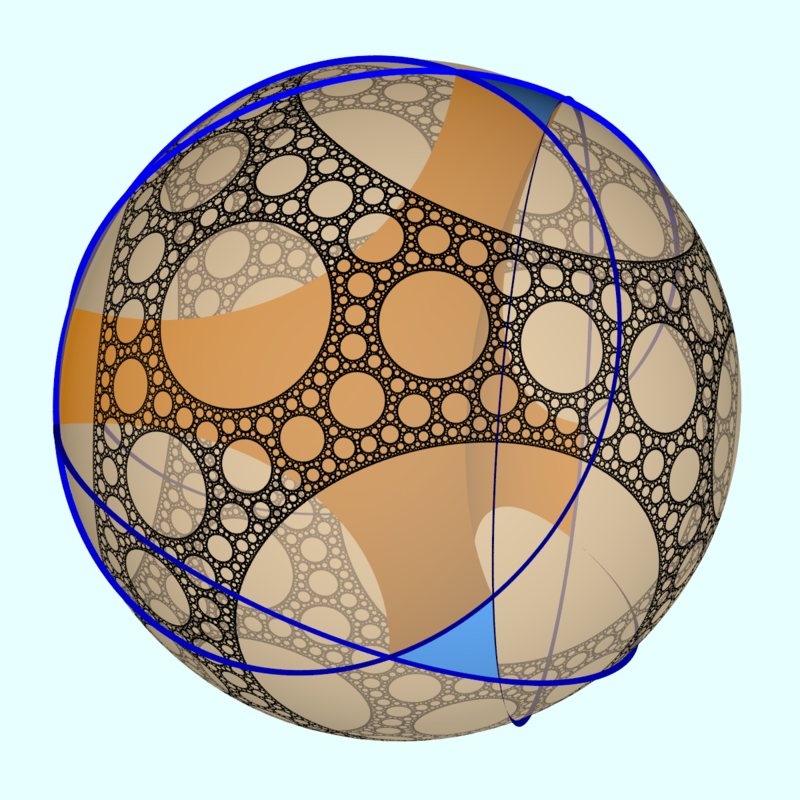 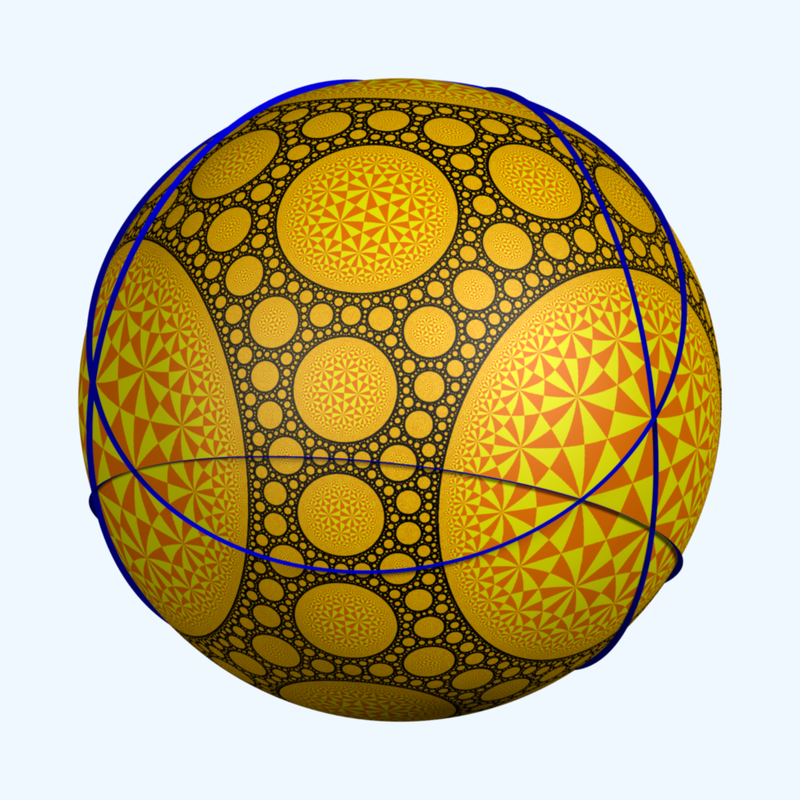 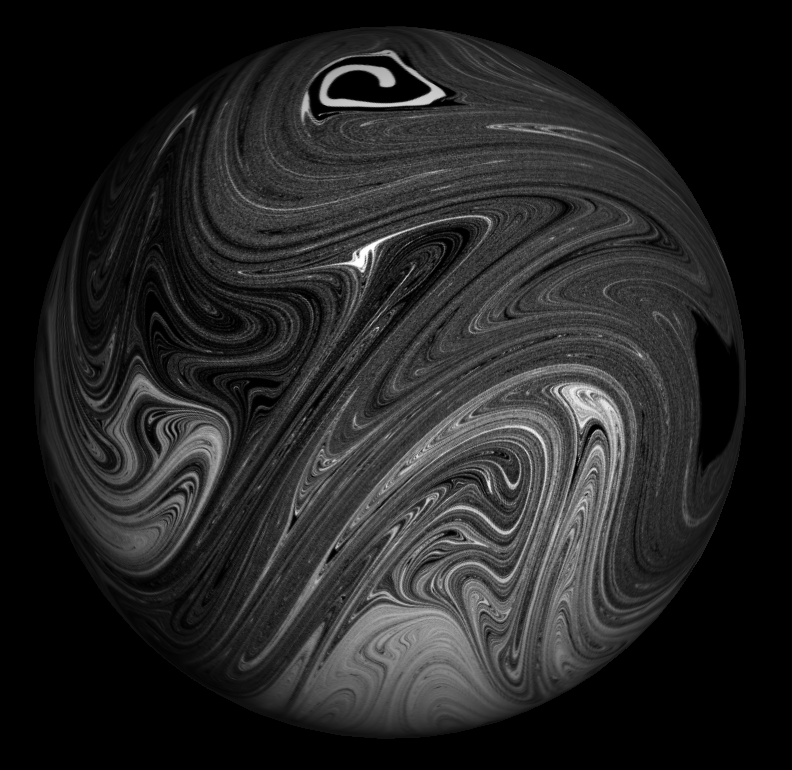 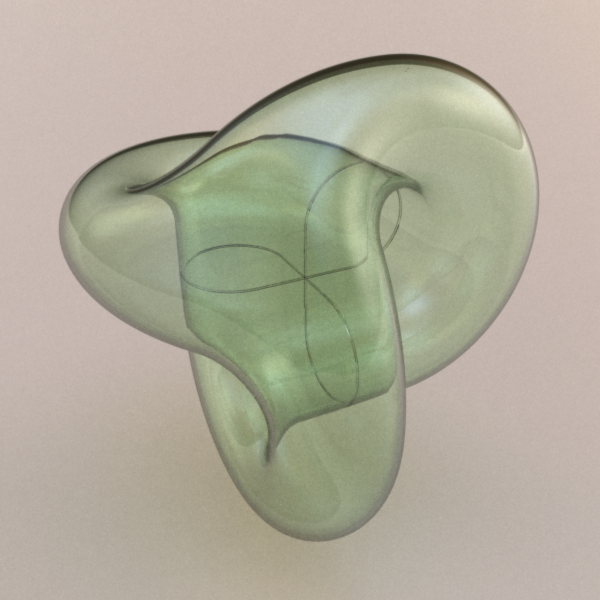 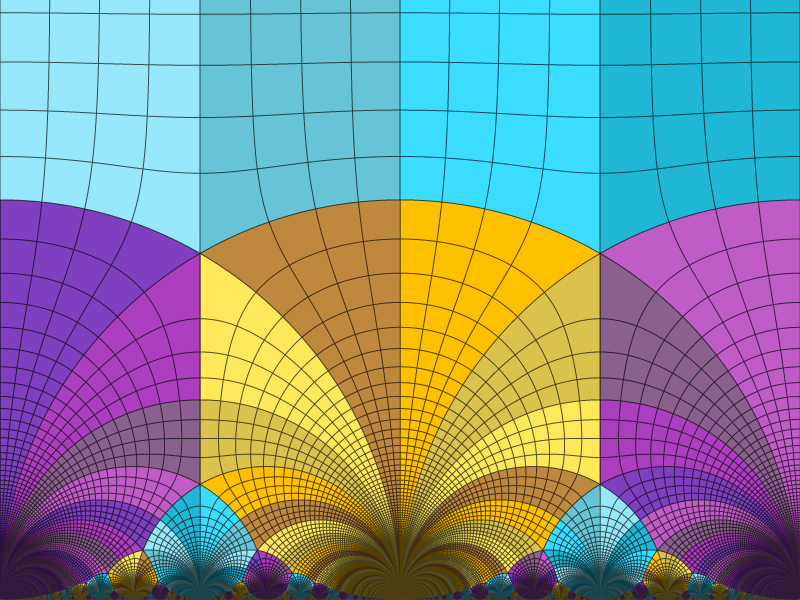 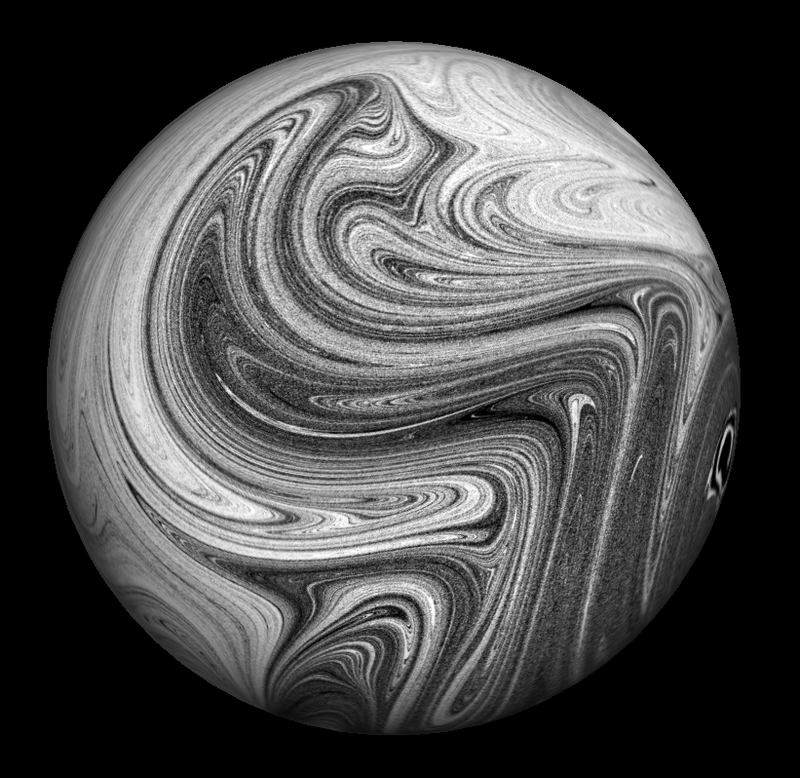 Riemann surface) in P2C. 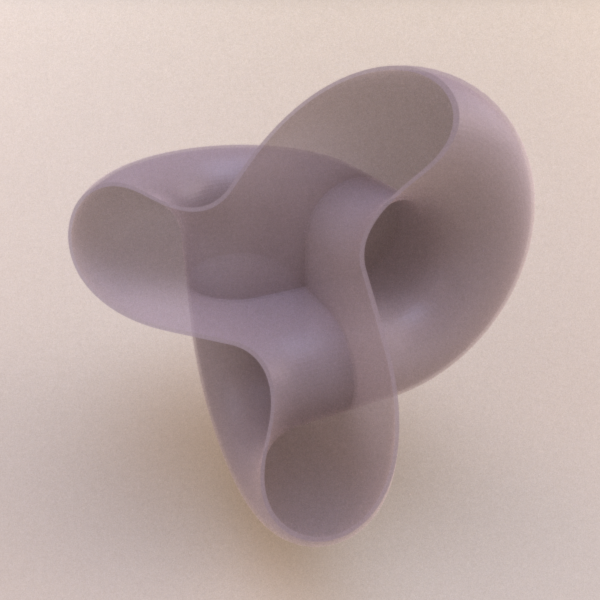 Klein told us: glue this fundamental domain the right way (2 solutions, not so obvious), and you'll get a very symmetric Riemann surface. 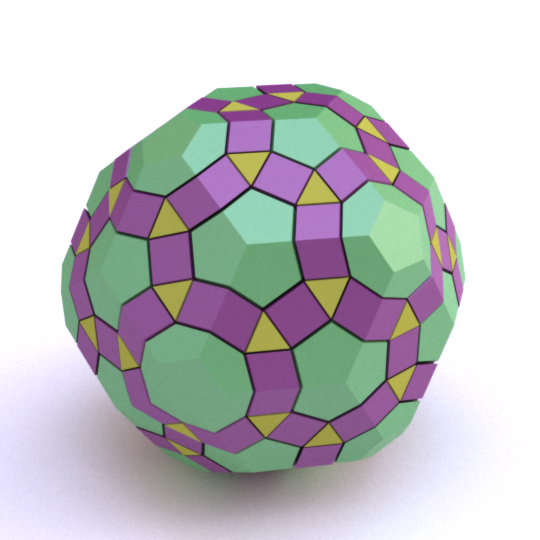 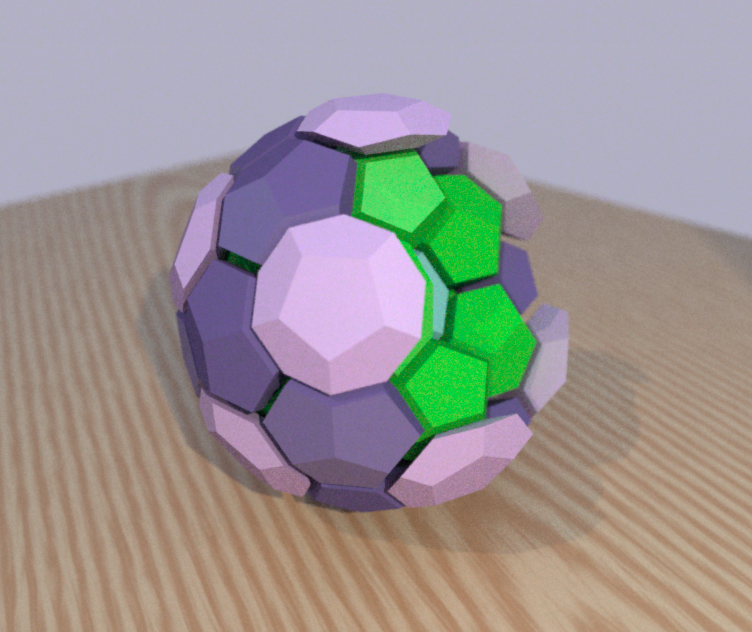 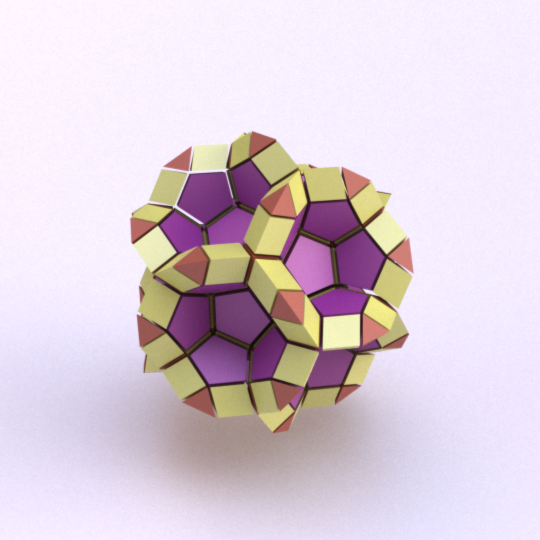 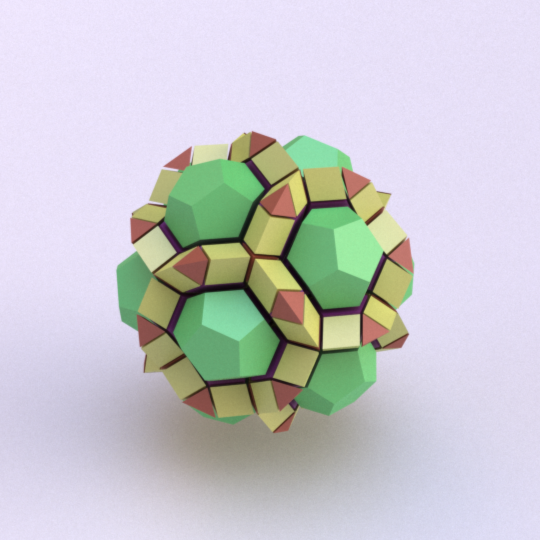 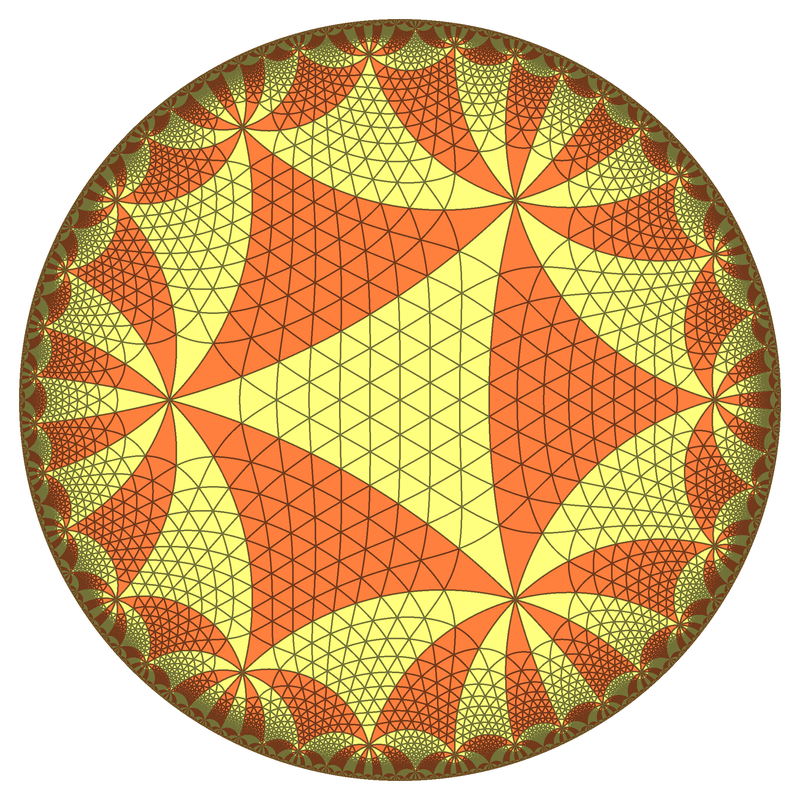 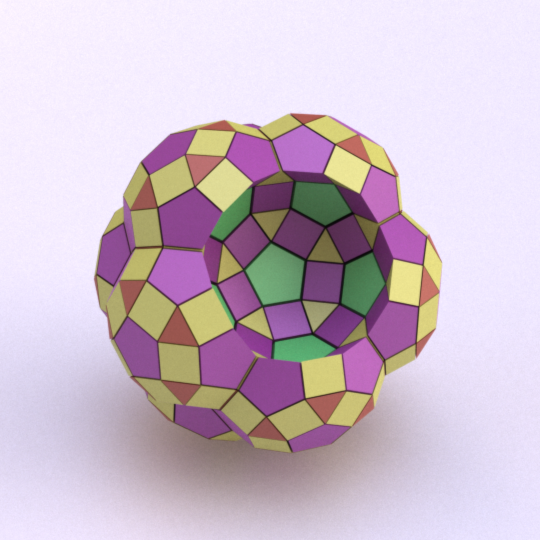 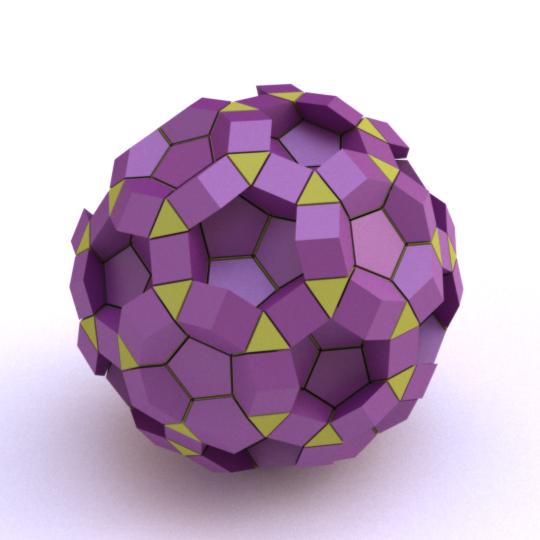 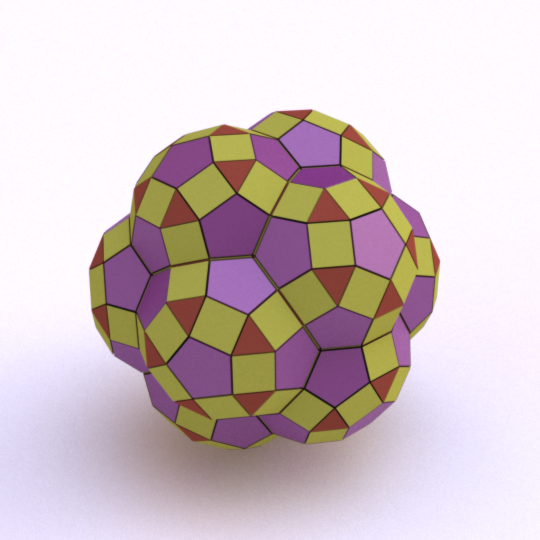 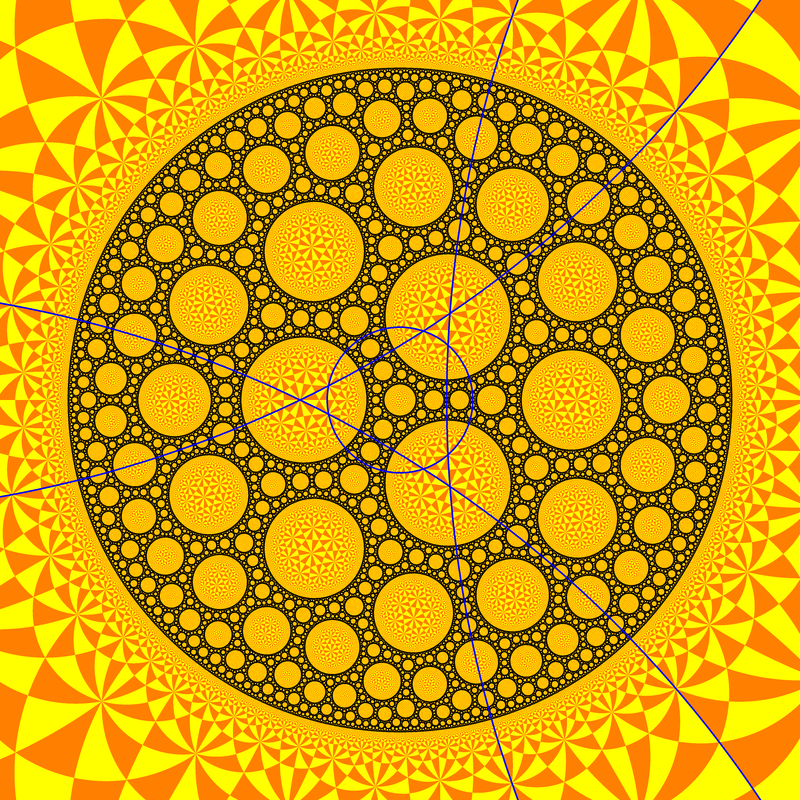 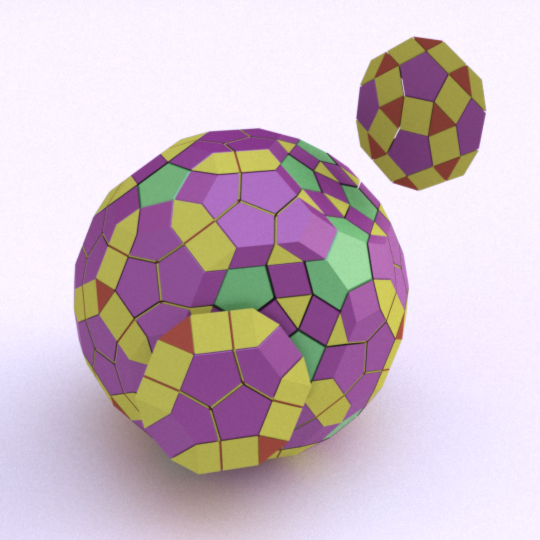 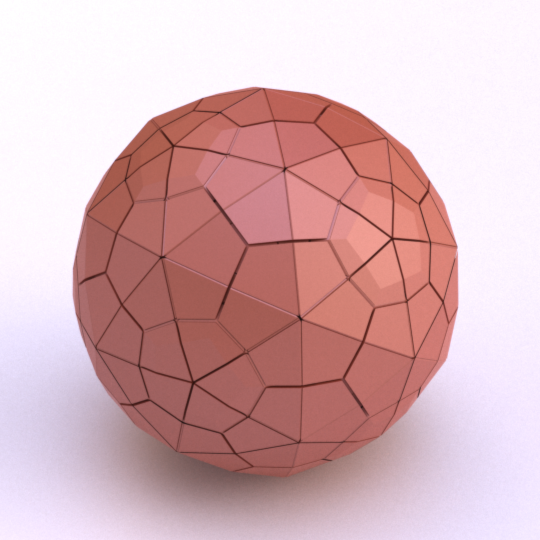 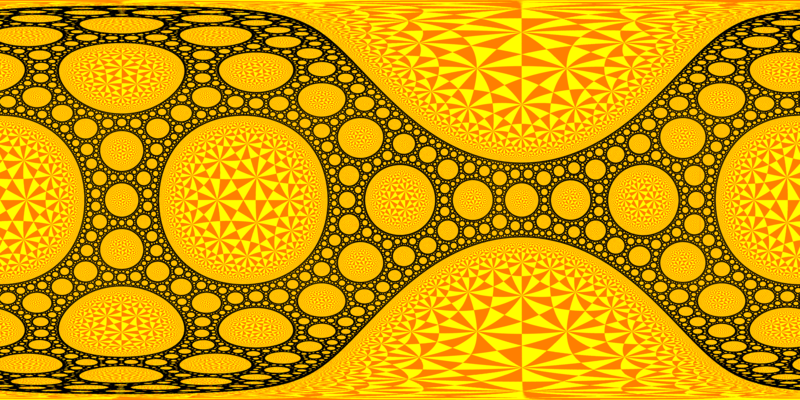 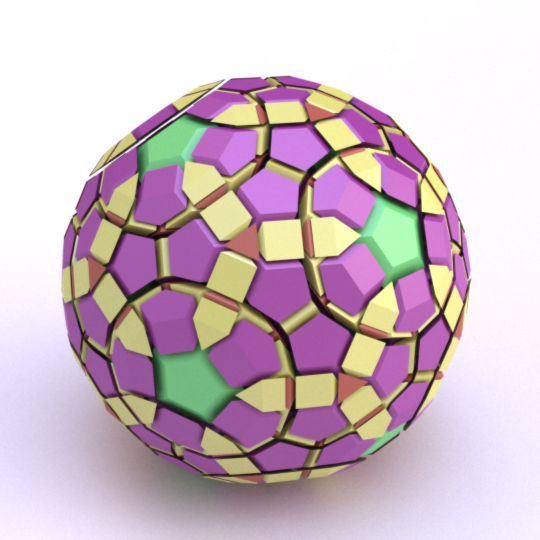 The Runcinated 120-cell is a polytope. 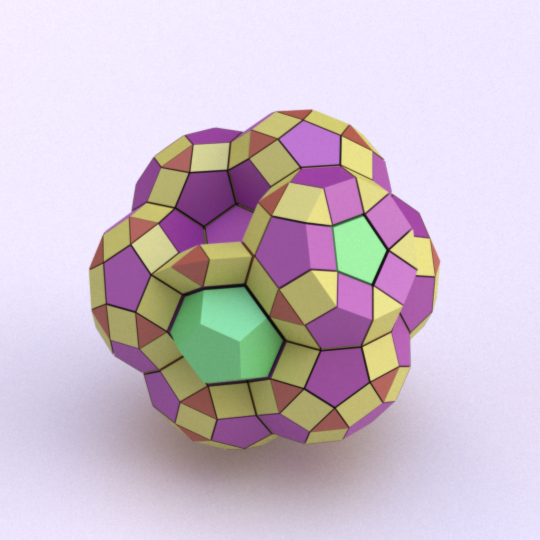 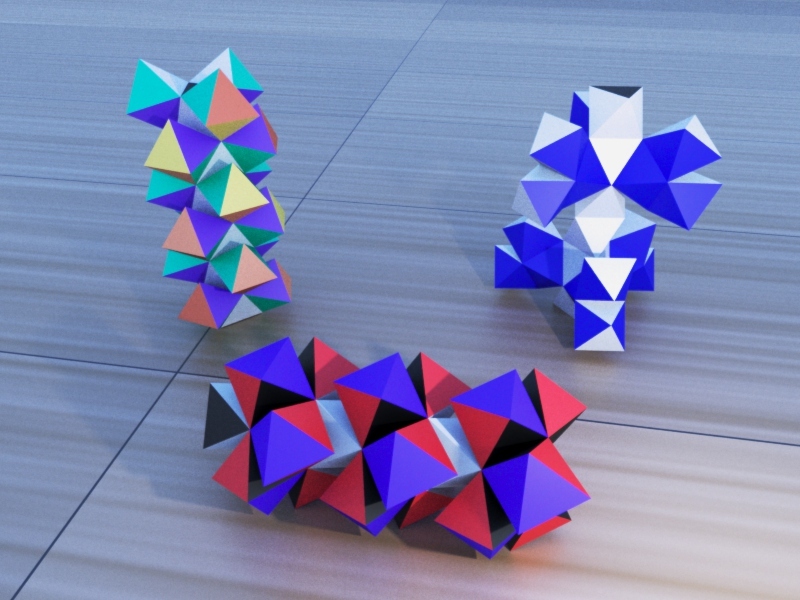 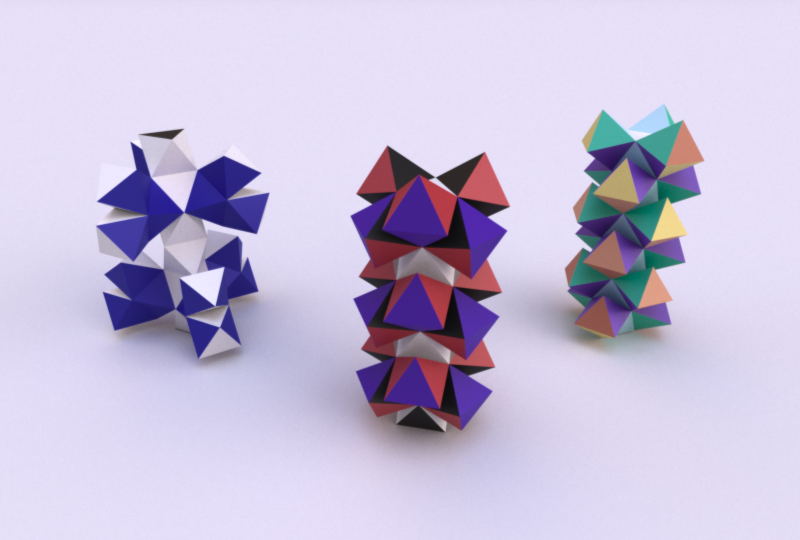 It is Archimedean in the sense that its organization at every vertex is the same, and all its chambers are Archimedean polyhedra too: regular dodecahedra, prisms with regular pentagonal base and square sides, prisms with equilateral triangular base and square sides, and regular tetrahedra. 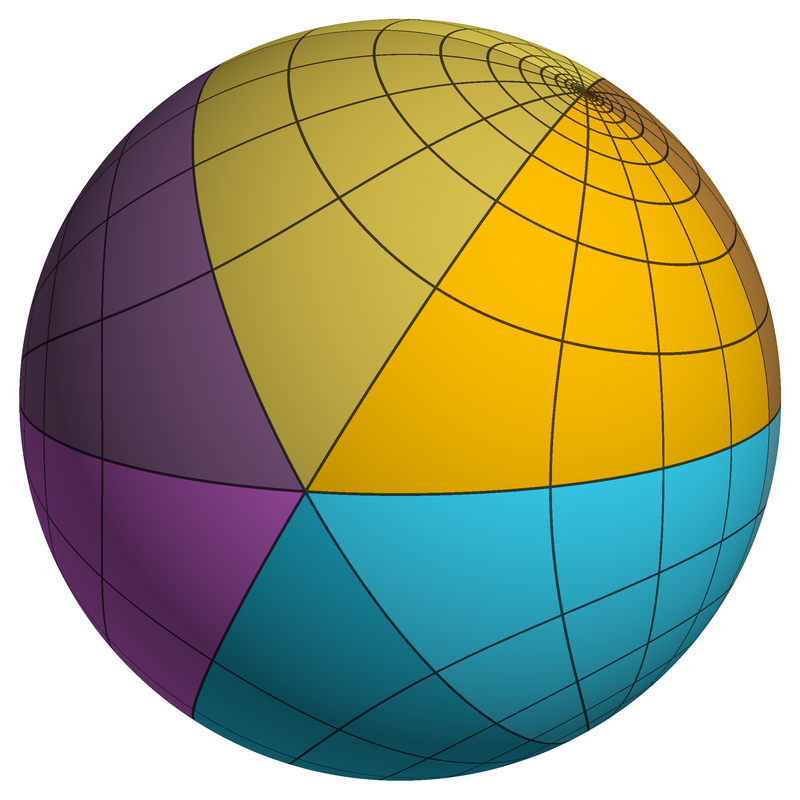 Here, these objects are respectively represented green, purple, yellow and orange. 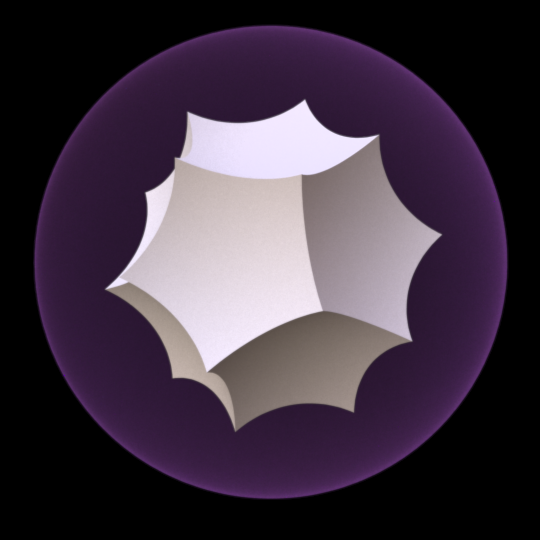 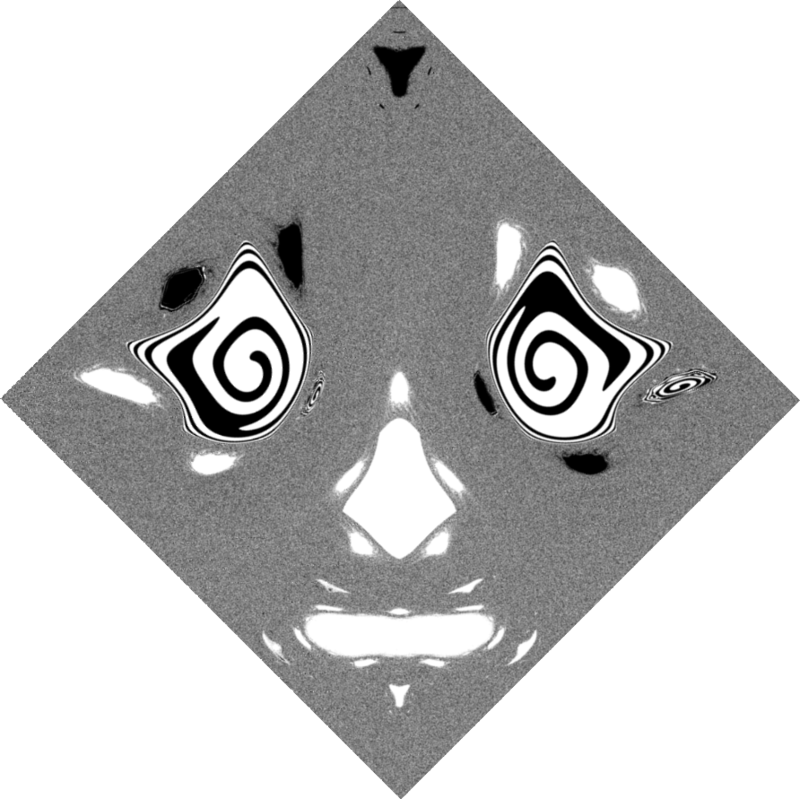 To represent the object, it is projected orthogonally to the three dimensionnal space and then rendered into a 2D image. 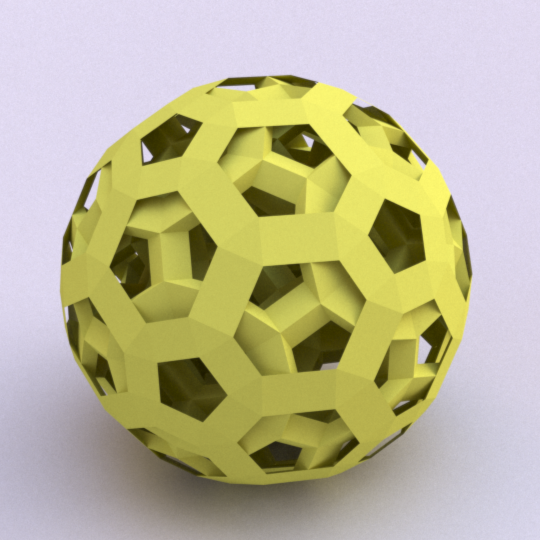 We used LuxRender for a photorealistic look. 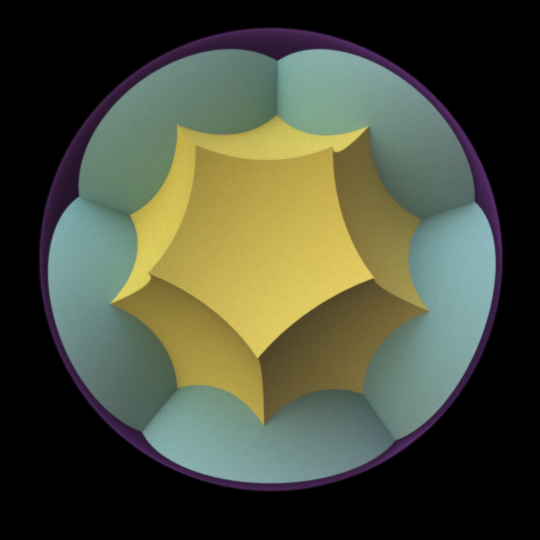 The outer shell is made of flattened cells and completely encloses the interior. 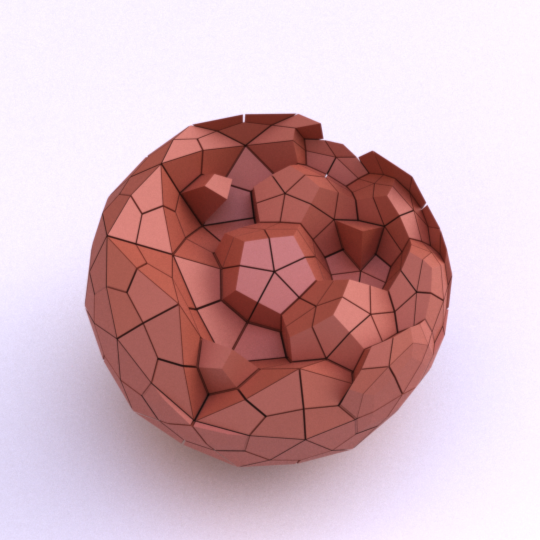 We broke the shell to reveal cells below. 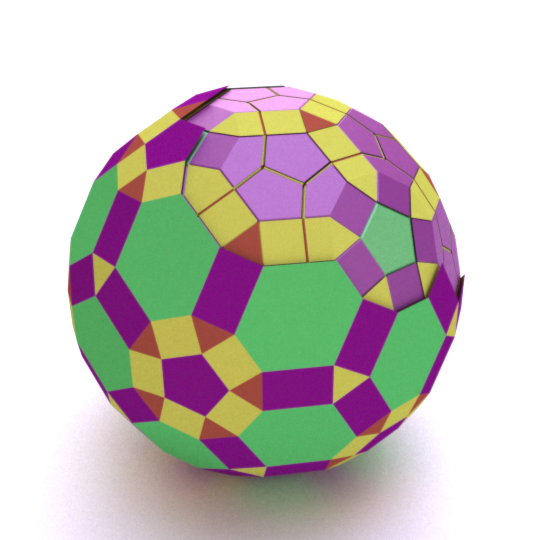 Same, without the outer shell. 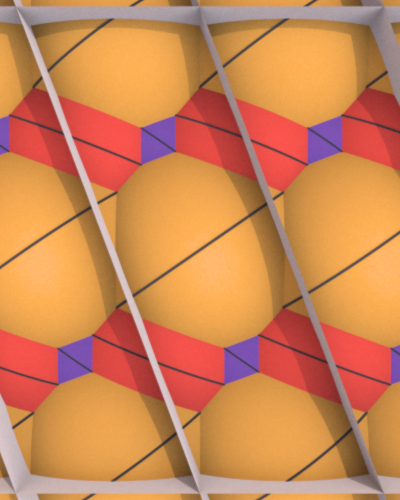 The cells are shrunk a little bit, to enhance visibility. 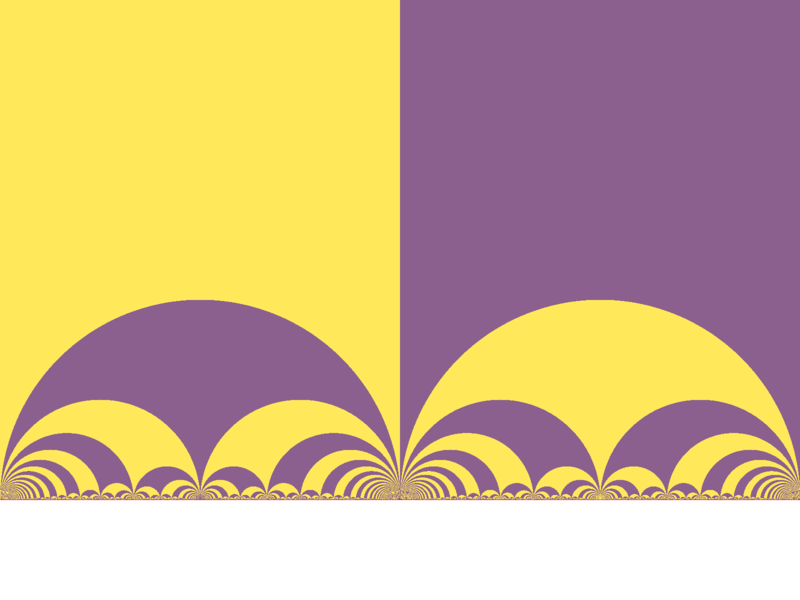 By accident, some groups of cells are neatly separated by planes. 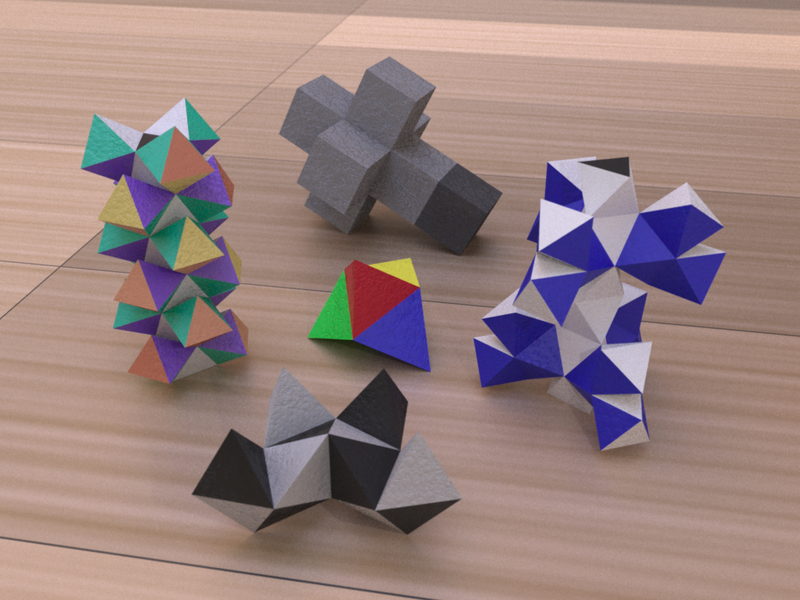 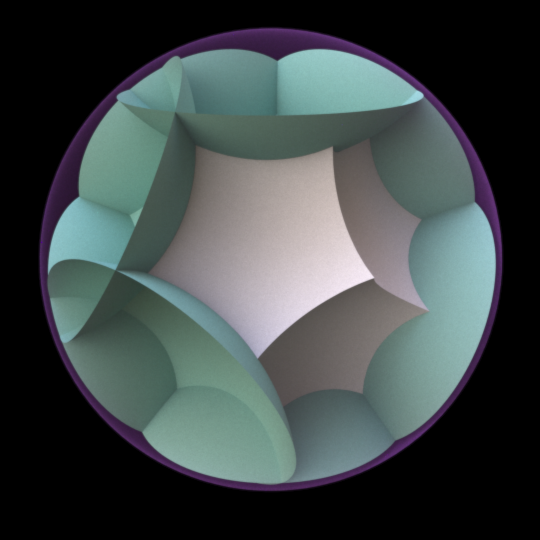 The set, sitting in the ball model of hyperbolic space. 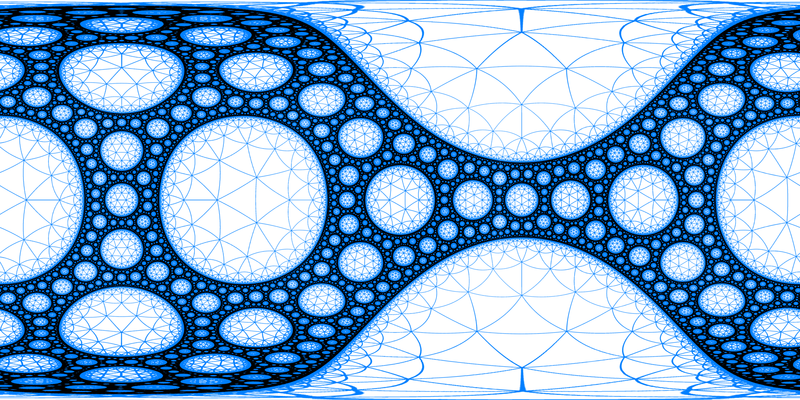 The group is generated by the reflections along the 4 blue circles. Black: limit set. 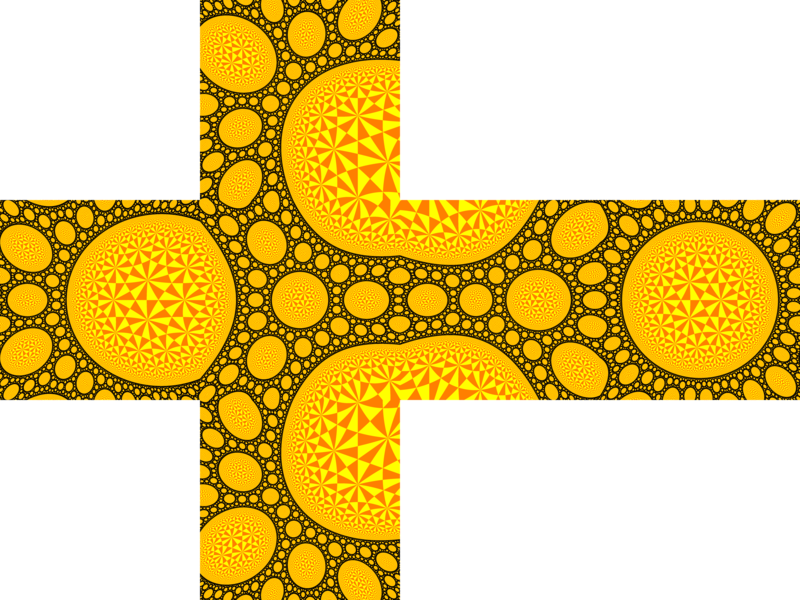 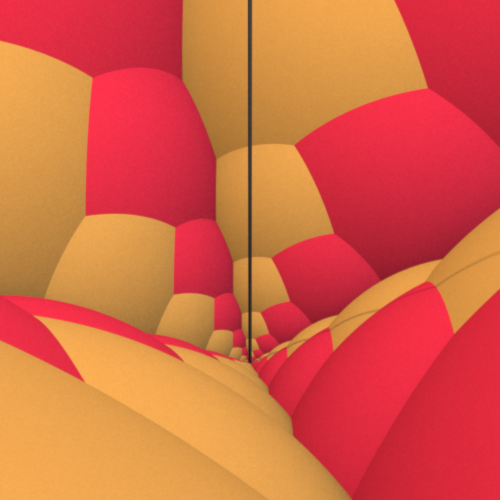 Yellow tones: generated tesselation in the discreteness set.